Professional air duct cleanings are the best way to keep your home feeling and smelling great. HVAC cleanings will keep your home happy and healthy for you and your family. 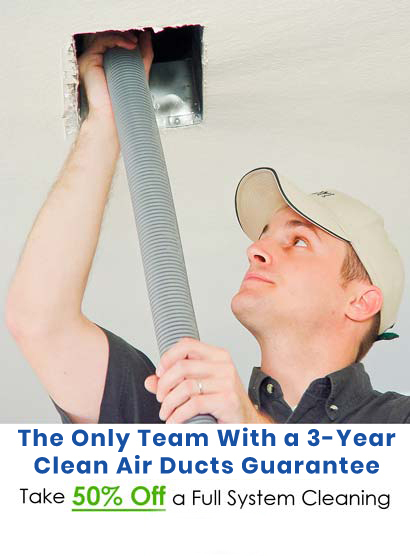 Picking the right air duct cleaning company is vital. KIWI Services in Double Oak, TX has spent 30 years cleaning ducts, vents, and HVAC systems making us the best choice for air duct cleaning. Keeping our customers happy is essential to our company. We want to always make sure you are satisfied with every part of your service which is why we offer a 30-day clean guarantee as well as 2-year guarantee against mold and mildew regrowth. If you should run into any problems, give us a call and we will be back out to perform a complimentary re-cleaning. Give KIWI a call today to schedule an air duct cleaning at your earliest convenience!